Address: Aricent Technologies ( Holdings ) Pvt Ltd,1st floor, Tower B, Logix Techno Park, Plot no. 5, Sector 127, Noida 201 303. Candidates should be 2017/2018 pass outs. Willing to work in 24*7 Support. Address: Block D, Wing II, 5th Floor, Cyber Gateway Building, Hitech City, Madhapur Village, Hyderabad – 500081. Strong hands on experience in automation test scripts development. Experience in design & development of test automation frameworks from scratch. Should be able to prioritize, estimate & write the automation test cases. Understand requirements and come up with comprehensive test case list. Understand and follow all the standard procedures in QA team. Understand technology and domain areas for the tasks assigned. Familiarize with all testing tools employed and be ready to pick up new tools and technologies based on the project needs. TEKsystems is a subsidiary of Allegis Group, the largest private talent management firm in the world. Our longstanding history and industry-leading position speak to our success in providing the IT staffing solutions, IT services and talent management insight required for you to actualize ROI and sustain a truly competitive advantage in a fast-changing market. This is regarding an opportunity for Manual Testing with TEKsystems for one of our Big4 clients in Hyderabad. Notice period: Please apply only if you are willing to join within 30 days or lesser. Contact Company: Allegis Services India Pvt. Ltd.
Payroll- Team lease Digital Pvt Ltd.
2+ years of automation and virtualization tools. Working experience of any testing automation. Takes regular direction from more senior level staff. Able to collaborate and thrive in a fast-paced high-performance environment. Demonstrated excellence in written and verbal communications. Database experience is a must. Should be able to drive / lead test modules and programs. Work within Agile develop teams to develop test cases, develop automation test scripts, perform tests and drive defect resolution. Work with support teams to reproduce and root cause field issues. Procure and manage lab infrastructure. Prepare hardware, OS and VM test setup configurations. Should actively participate in other team initiatives. 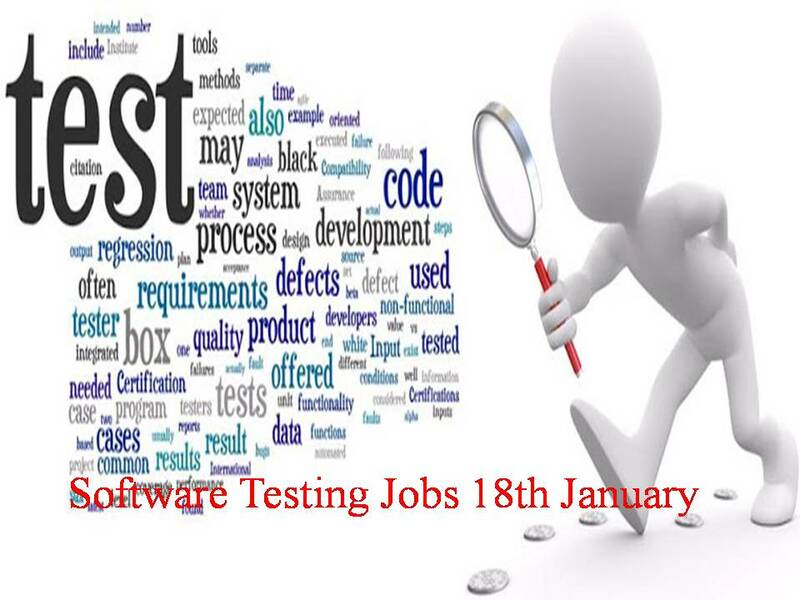 Own the test activities for a part of the software product to be tested. Be the subject matter expert in the area of ownership. Automation of common modules, framework development/maintenance, and test case automation is the key responsibilities. Item tests engineering work items and perform a full regression of the products prior to release. Work with the Support Team to determine severity of problems reported to engineering. Document software bugs and enhancements. Travel onsite to beta customers to facilitate installation and use of beta software. Create and execute in-depth test scripts to identify and resolve software defects working in conjunction with internal and external resources as appropriate. Report the progress of and manage the resolution of defects found through phases of the software development life cycle. Document and measure test scenarios and processes. Location : San Luis Obispo, Ca. Reviews software for accuracy and quality prior to delivery to customer. Tests complex software in the target environment. Performs troubleshooting of defects. Supports development of software test reporting artifacts. Participates in evaluation of test performance data. Collects the test data and provides recommended testing approach. Prepares for next test activities or events based on results. Assists in preparation and use of testware. Generates simple test plans or aspects of more complex plans. Interfaces with internal contacts, to formulate basic test approaches. May provide input on development of test plans. Develops simple test procedures and environment specifications needed to perform the test and minimize risk within the constraints of the test plan. May develop automated test procedures and environment specifications. Gathers information from applicable sources to fulfill test requirements, define environments and test articles for simple tests. Assists in identifying test requirements for complex tests.